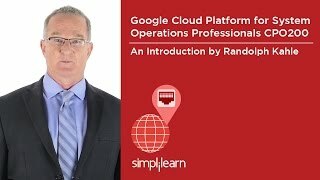 This Google Cloud Platform Qualified Systems Operations Professional (CPO200) course will introduce you to the implementation of application environments and public cloud infrastructure using Google Cloud Platform. Through instructor-led online classrooms and hands-on labs, you’ll gain real-world job experience on the cloud and become certified in various Google Cloud Platform technologies. This CPO200 course will position you become job ready on day one and excel in the rapidly growing cloud services market. This course is an essential requirement for systems operations professionals and systems administrators who use Google Cloud Platform to create or migrate application environments and infrastructure. How do you become a certified Google Certified Professional - Cloud Architect? 2. Take the online exam for Google Certified Professional - Cloud Architect after completing the training. What is the structure of the beta exam? Note: All beta exams are scored after the beta period closes. You will be notified of your score in February 2018. If you pass the beta exam, you will become certified, and your certification will be good for two years after receiving your notification of passing. Very good training, and nice faculty.